17. Shuai Tan, Theodore John Kraus, Katie Dongmei Li-Oakey, Understanding the Supercapacitor Properties of Electrospun Carbon Nanofibers from Powder River Basin Coal, Fuel 245 (2019), 148-159. 16. 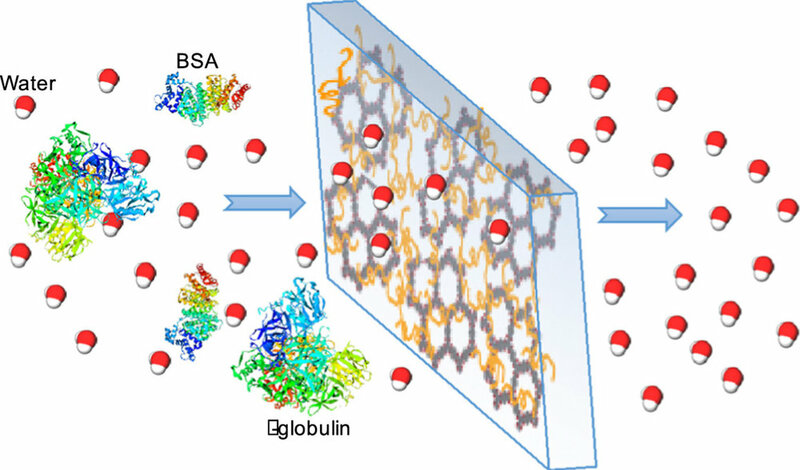 Carboxyl-functionalized covalent organic framework as a two-dimensional nanofiller for mixed-matrix ultrafiltration membranes. Phuoc H.H. Duong, Valerie A. Kuehl, Bruce Mastorovich, John O. Hoberg, Bruce A. Parkinson, Katie D. Li-Oakey. Journal of Membrane Science 574 (2019) 338–348. DOI: 10.1016/j.memsci.2018.12.042. 15. A Highly Ordered Nanoporous, Two-Dimensional Covalent Organic Framework with Modifiable Pores, and Its Application in Water Purification and Ion Sieving. Valerie A. Kuehl, Jiashi Yin, Phuoc H. H. Duong, Bruce Mastorovich, Brian Newell, Katie Dongmei Li-Oakey, Bruce A. Parkinson, and John O. Hoberg, J. Am. Chem. Soc. 2018, 140, 18200−18207. DOI: 10.1021/jacs.8b11482. 14. 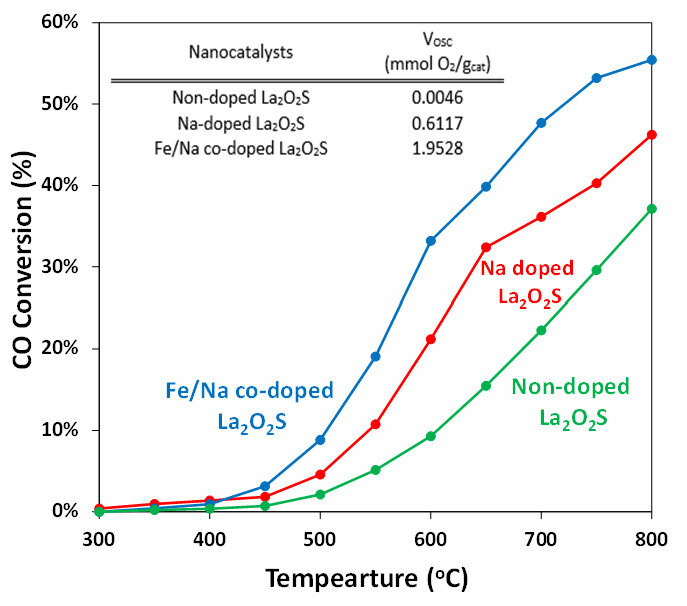 Elucidation of Titanium Dioxide Nucleation and Growth on a Polydopamine-Modified Nanoporous Polyvinylidene Fluoride Substrate via Low-Temperature Atomic Layer Deposition, Audra DeStefano, Jiashi Yin, Theodore J. Kraus, Bruce A. Parkinson, and Katie Dongmei Li-Oakey, ACS Omega, 3 (2018), 10493−10502. DOI: 10.1021/acsomega.8b00864. 13. Reducing the Scaling Potential of Oil and Gas Produced Waters with Integrated Accelerated Precipitation Softening and Microfiltration, Jonathan A. Brant, Dongmei Li and Jennifer Hegarty, J. of Water Technology and Treatment Methods, 2018; 1(4):118. 12. Performance evaluation of platinum-molybdenum carbide nanocatalysts with ultralow platinum loading on anode and cathode catalyst layers of proton exchange membrane fuel cells, Shibely Saha, José Andrés Cabrera Rodas, Shuai Tan and Dongmei Li, J. of Power Sources, 378 (2018), p.742-749. DOI: 10.1016/j.jpowsour.2017.12.062. 7. Hydrogel-based janus structures for asymmetrical aster nucleation. K. Nelson, D. Debroy, R. McBride, D. Levy, J. Gatlin, D. Li, J. Oakey, Instrumentation Society of Americal (ISA) Biomed. Sci. Instrum., 2017. 5. Probing synergetic effects between platinum nanoparticles deposited via atomic layer deposition and molybdenum carbide nanotube support through surface characterization and device performance. S. Saha, B. Martin, B. Leonard, D. Li, Journal of Materials Chemistry A, 2016, 4, 9253-9265. 4. Surface characterizationand Pt-like electrocatalytic activity of nano-scale platinum deposited on transitional metal carbide nanotubes via atomic layer deposition. S. Saha, Z. Witters, B. Leonard, D. Li, ECS Trans, 2015, 69, 77-89. 3. Application of Polymer-Coated Metal-Insulator-Semiconductor Sensors in Detection of Dissolved Hydrogen, Dongmei Li, W. Medlin, Applied Physics Letters, 88, p.233507, 2006. 2. Effects of Membrane Coating on the Response of Metal-Insulator-Semiconductor (MIS) Sensors, Dongmei Li, W. Medlin, R. Bastasz and T. McDaniel, Sensors and Actuators B: Chemical, 115, p.86-92, 2006. 1. Membrane Formation via Solid-Liquid Thermally Induced Phase Separation (TIPS) - Model Development and Validation, Dongmei Li, R. L. Sani, A. R. Greenberg and W. B. Krantz, Journal of Membrane Science, 279, p.50-60, 2006. Hoberg and Dongmei Li, in preparation. from Coal via Green Chemistry, Shuai Tan and Dongmei Li, in preparation. 1. Surface Characterization and Pt-like electrocatalytic activity of Nano-Scale Platinum Deposited on Transition Metal Carbide Nanotubes Via Atomic Layer Deposition, Electrochemical Society (ECS) Transactions, October, 2015. 2. Fabrication of Compact Catalytic Membrane Reactor Using Nanosize Catalysts and Atomic Layer Deposition, Shuai Tan, Steve Paglieri, Shannon Mahurin and Dongmei Li, Proceedings of AIChE 2014, Atlanta, GA, November, 2014. 3. Particle Size and Support Effect of Platinum Catalyst in a Proton Exchange Membrane Fuel Cell, Shibely Saha and Dongmei Li, Proceedings of AIChE 2014, Atlanta, GA, November, 2014. 4. Promotion Effect of Transition Metal Carbide Support on ALD-Deposited Platinum Nanoparticles in Proton Exchange Membrane Fuel Cells, Shibely Saha and Dongmei Li, Proceedings of Gordon Research Conferences on Fuel Cells, Smithfield, RI, August, 2014. 5. Membrane Process Development To Address High TDS Challenges In Treating Hydraulic Fracturing Waters, Proceedings of Gordon Research Conferences on Membrane Materials and Processes, Dongmei Li and Jonathan Brant, New London, NH, July, 2014. 6. co-Catalyst Modified Nafion® Membrane Pprepared viaby Ultrasonic Accumist Spray technique for Proton Exchange Membrane Fuel Cell Application, Shibely Saha and Dongmei Li, Proceedings of NAMS 2014, Houston, TX, June, 2014. 8. Particle Size and Support Effects of Platinum Catalyst on Proton Exchange Fuel Cells, Proceedings of Western Catalysis Conference, Albuquerque, Shibely Saha and Dongmei Li, NM, March, 2014. 9. Lanthanide Oxysulfide Micro-Membrane Reactor (MMR) for Hydrogen Production, Shuai Tan, Stephen N. Paglieri, Shannon Mahurin and Dongmei Li, Proceedings of Western States Catalysis Conference, Albuquerque, NM, March, 2014. 10. Surface Modification of Transition Metal Carbide Nanoparticles Via Atomic Layer Deposition for Energy Applications, Shibely Saha and Dongmei Li, Proceedings of AIChE 2013, San Francisco, CA, November, 2013. 11. Integration of Accelerated Precipitation Softening - Microfiltration (APS-MF) Assembly to Maximize Water Recovery from the Treatment of Brackish Water, Jennifer Hegarty, Dongmei Li and Jonathan Brant, Proceedings of NAMS 2013, Boise, ID, June, 2013. 12. Catalytic Micro-Membrane Reactor (MMR) Development for Hydrogen Purification, Shuai Tan and Dongmei Li, Proceedings of NAMS 2013, Boise, ID, June, 2013. 13. co-Catalyst Modified Nafion Membrane for Proton Exchange Membrane Fuel Cell Application, Shibely Saha and Dongmei Li, Proceedings of NAMS 2013, Boise, ID, June, 2013. 14. Beyond TIPS (Thermally-Induced Phase Separation), Dongmei Li, Proceedings of AIChE, Pittsburg, PA, October, 2012. 15. Tailoring Metal-Insulator-Semiconductor Devices for Selectivity, Dongmei Li, W. Medlin, Proceedings of AIChE, Cincinnati, Ohio, October, 2005. 16. Performance of Polymer Film Modified Sensors in Hydrogen Detection, Dongmei Li, W. Medlin, Proceedings of North American Membrane Society, Providence, RI, June 2005. 17. Catalytic Sensors for Hydrogen Detection in Industrial Applications, Dongmei Li, W. Medlin, Proceedings of Western State Catalysis Club Meeting, Albuquerque, NM, Feb. 2005. 18. Hydrogen-Selective Sensors for Industrial Applications, Dongmei Li, W. Medlin, R. Bastasz and T. McDaniel, Proceedings of AIChE, Austin, TX, Nov. 2004. 19. Study of Solid-Liquid Thermally Induced Phase Separation (TIPS) Membrane Formation Process - Comparison of Model Predictions and Experimental Results, Dongmei Li, R. L. Sani, A. R. Greenberg and W. B. Krantz, Proceedings of NAMS, Jackson, WY, May, 2003. 21. Modeling Study of Thermally Induced Phase Separation (TIPS) Membrane Formation Process, Dongmei Li, W. B. Krantz, R.L. Sani and A. R. Greenberg, Proceedings of NAMS, Boulder, CO, May, 2000. 23. Study of Thermally Induced Phase Separation (TIPS) Membrane Formation Process, Dongmei Li, W. B. Krantz, R.L. Sani and A. R. Greenberg, Proceedings of The Third Joint China-US Chemical Engineering Conference, Beijing, China, Sept. 2000. Debroy, Dongmei Li and John Oakey, US provisional patent application, filed on July 11, 2017. Shuai Tan, US provisional patent application, serial # 62/442,613, filed on January 5, 2017. Leonard, US Patent 2017/0263943 A1, issued on September 14, 2017. B1, Issued on November 8, 2016. Li, US Patent 9138718, Published on September 22, 2015. Anthony McDaniel, US Patent 7,340,938, 2008.